Choose a fine-tuned Unmanaged Hosting solution! At A2 Hosting, you're bound to find an Unmanaged Hosting solution perfect for all of your web development needs. Both of our Unmanaged VPS Hosting and Unmanaged Dedicated Hosting solutions include administrative level root access so you can customize your server to your specific needs. With Unmanaged VPS Hosting and Unmanaged Dedicated Server Hosting options, you have your choice between a number of very powerful hosting options from A2 Hosting. With unparalleled hosting speed, reliability and customizations at your fingertips, you won't need to search for an Unmanaged Web Hosting provider ever again! Whether you need a Dedicated Server because you're ready for complete isolation or you don't quite need that level of resources yet and prefer a virtual private server, rest assured that A2 Hosting has your Unmanaged Server Hosting needs covered. Normally when you hear about Unmanaged Hosting, the first thing that comes to mind is that the service does not include any web hosting support. This isn't true at A2 Hosting. That's because we do things differently than those other Unmanaged Hosting providers. We do things better. At A2 Hosting, we have a 24/7/365 Guru Crew Support team. They're the experts who take care of your network and your hardware. They're also the same team who is standing by to answer any of your questions about our hosting solutions. Just contact them via live chat, phone or email and they'll happily help you choose the hosting solution that best fits your particular needs. When you choose A2 Hosting, you get the benefit of hosting on our fine tuned servers. It's what we call our SwiftServer platform. You know just as well as anyone that speed impacts user experience. That's why we also give you the option to host on our Turbo Servers featuring page loads up to 20X faster compared to those competing Unmanaged Hosting providers. Our Turbo Servers include a number of performance boosting solutions including our Turbo Cache Option which serves your content without even having to run PHP. It's important to choose a host where you can get an answer to your hosting questions. It's obvious that we have that. It's also important to choose a host that can give you high speed solutions so that your visitors and users are satisfied. We have that. Don't forget that you also need to select a host that you can depend on. 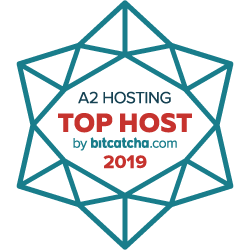 A2 Hosting absolutely is that as well. When you choose A2 Hosting, you're choosing the ultra-reliable host. In fact we offer an Uptime Commitment that your network will be up 99.9% of the time. Since our launch back in 2003, we have been the host that developers have turned to. Whether you're looking for PHP, MySQL, nginx, Apache or another developer solution, A2 Hosting has got you covered! That's because our Unmanaged Web Hosting packages are the perfect solution for experienced developers just like you. That's because they include full root access giving you administrative level control of your server. This way you can customize your server to your liking with settings and installing software that you wouldn't otherwise be able to use in a Managed Hosting environment. Dig in with command line to configure your server how you want it to be managed! Having completely control of your server is the core of our Unmanaged Hosting package options. Managing a server with command line is great, but some experienced developers still prefer to use a control panel. You're in luck! We sell affordable cPanel control panel licenses! Install cPanel on your account to make it easier to manage your files, databases, websites, email address and more all from within an intuitive interface. You know better than anyone what sort of hosting resources you want to power your site and your development projects. We don't believe in one-size-fits-all hosting solutions. Instead we let you customize your servers to your specific needs and liking. Take our Unmanaged VPS Hosting solutions as an example. Some projects require less space and more more memory. Other projects require less data transfer but more space. You can choose the amount of space, transfer and memory you want included with your account. Best of all, you don't get stuck paying for resources you don't want or won't use! You can even choose from our wide selection of Linux operating systems for your account. Trusting a host with your website and development project isn't an easy thing to do. We understand and want to do everything we can to make this an easy, comfortable decision for you to make. We are very careful about the vendors and partners we work with ourselves. A reputation is at stake after all. At A2 Hosting, we offer an Anytime Money Back Guarantee. That means you can try our web hosting solutions completely risk free. There's no risk and let's be honest; you're going to love our service. You won't look back! Get started now.